Look at that darling smile! And I just love the twinkle in his eyes!! There isn't a page among these that did not put a great big smile on my face!! These are all Wonderful!! Here is my page for this challenge. 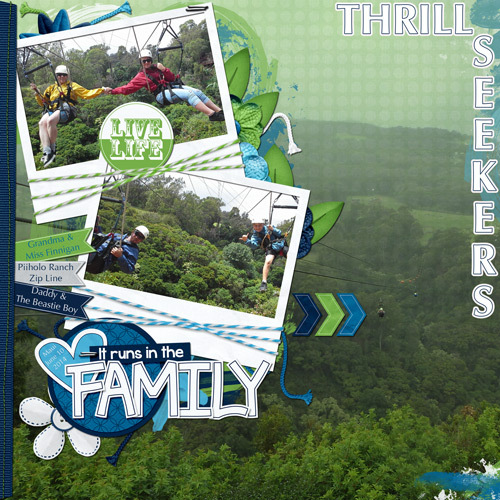 Here we are on Maui at the Piiholo Ranch Zip Line Adventures. The line you see in the background is the final line that goes from the top of the mountain back to where we started at the bottom. The people you see zipping along are my son and grandson. My granddaughter and I followed them. It is a half mile ride over the tree tops and I have to say - we all LOVED IT!!! 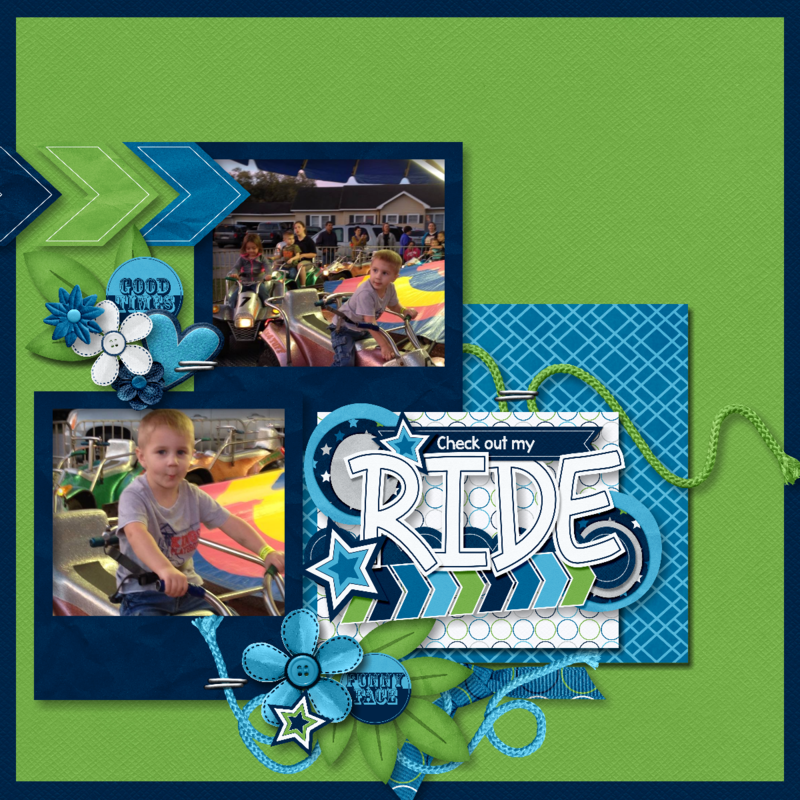 I used Boyish Blue Bundle Designer Pack by Albums To Remember Designs. 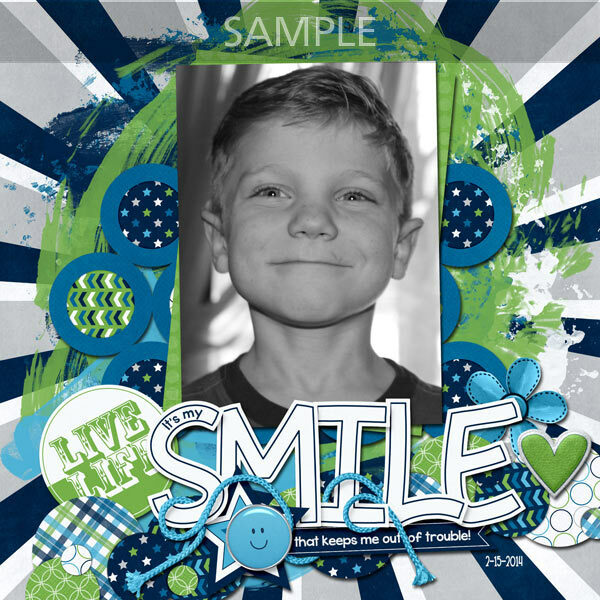 Kit used is Whisper Softly Designer Pack by Carla's Treasures. Kim, that looks like so much fun but so scary at the same time. Beautiful layout - love the big picture in the background with the two smaller ones frames and the arrows pointing to the person on the line. So cool! The font is "Skinny Jeans. What a great extraction! Love how you mixed the kits, looks great! Sending you your coupon now. Who knew, I am so glad I came over to look & see what's up. I did this with coffee this morning. It's a lift from a page Phyllis Sawyer did. I needed some inspiration. I love this kit Barb. Is that you Menda? I think I recognize your superwoman outfit in your avatar! 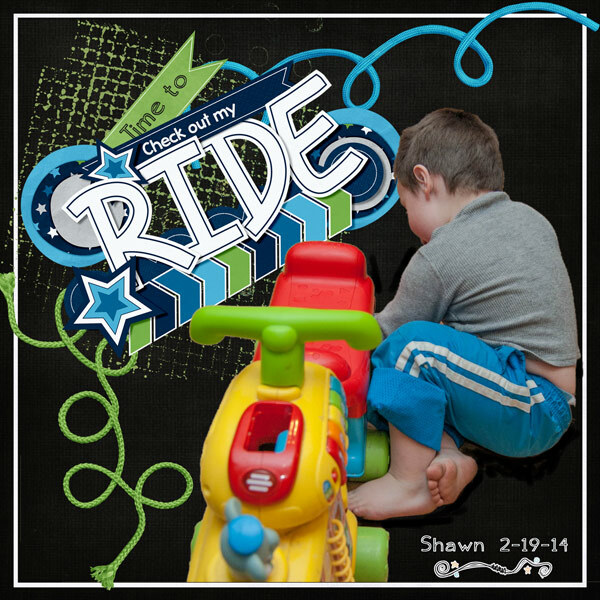 Great lift, it looks wonderful and he sure looks like one cool dude on his ride! receive the next mouthful from Mum! Yep that would be me Barb. Just now getting into the forum. So far so good, it's working for me. When it first came on I couldn't get in & figure it all out. Glad to be here. Evergreen100, thanks for playing along. What a great story and page. That would have been entertaining to watch all spring. Thank you to all who played along this month. I have sent out all the Loyalty stamps for June. If you did not find it via a private message please let me know. Thanks.